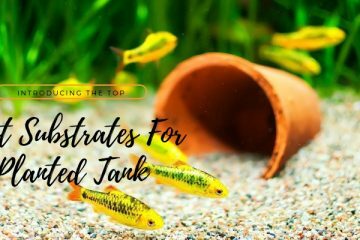 If you love your tank but hate having to treat your water then we know your frustration. Most tap water just isn’t safe for fish. 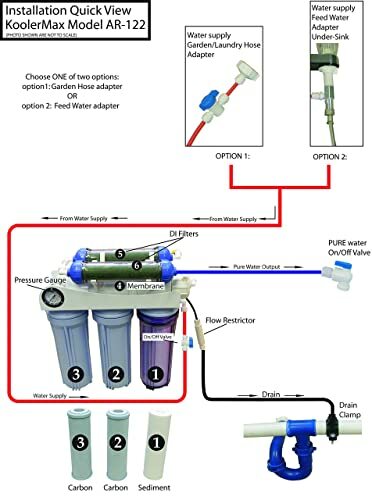 You may be thinking of using a RO/DI system to prepare water for your tank. In this article, we will help you understand what a RO/DI system is and how it’s used. We will also go over the Best RO/DI System for Aquariums. Each system will have both pros and cons lister so that you can make the perfect decision for your home. The AquaFX Barracuda RO/DI Aquarium Filter is a wonderful device for anyone looking to keep their tank healthier. This set comes with many of the parts you need to successfully purify your water. 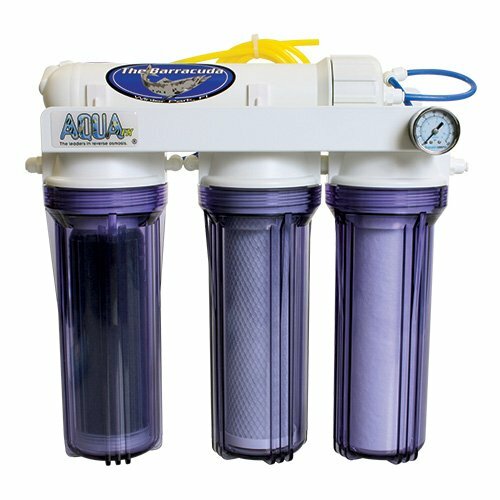 The AquaFX comes in two different speeds so you can pick your perfect filter. This system is 20 x 18 x 8 inches and weighs 12 pounds. This filter can go through 50 gallons of water per day or 100 gallons for the premium option. 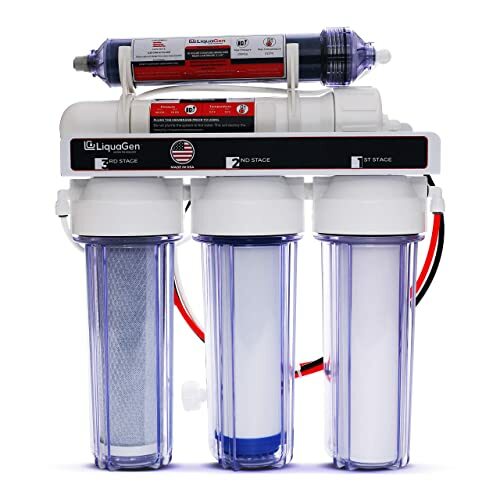 The Aquafx has three different filters it will pull contaminants out of your tap water through in order to pull out any remaining toxins. 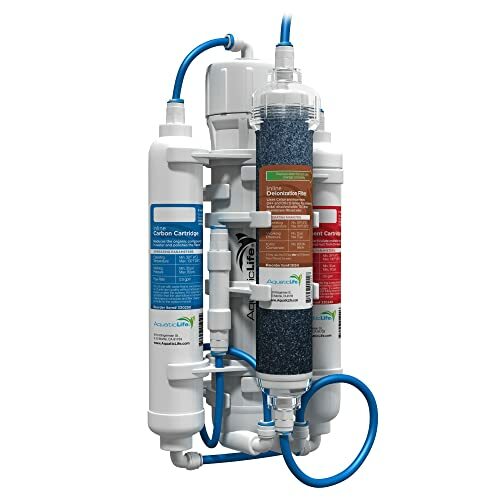 This filter comes with 1-micron sediment pre-filter and 2-micron chlorine guzzler carbon block pre-filters. For getting everything set-up you will get a connect fittings, a shut-off valve, and a filter wrench. You will also get to pick the feed adapter that works best for you. This model is made with no-rust metal to increase the filters durability. You will also get a metal mounting bracket for easy set-up. 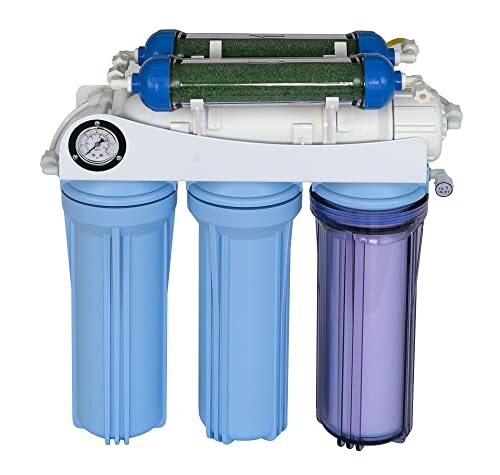 This filter has a membrane, a High-efficiency color-changing DI cartridge, and a 160 PSI pressure gauge. Finally, let’s take a look at some of the downsides to this product. This filters warranty is based on when it was manufactured instead of when you bought it. You may also notice that the filter runs a little bit slower than 50 GPD. While not a huge let down these two issues are frustrating. The Aquatic Life RO Buddie Reverse Osmosis Systems is ready to take on your cleaning needs. This unit comes at several speeds for you to choose from depending on your needs. 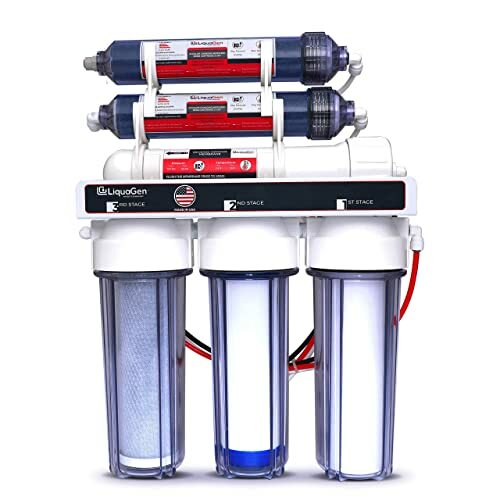 There are both three and four stage filtration units available in this model. This model comes in a 50 GPD 4 four-stage filtration option and a three-stage 50 GPD and 100 GPD option. This unit is 13.8 x 7.5 x 6 inches and only weighs 4.9 pounds in total. The small sizes and lightweight design make the Aquatic Life filter perfect for small spaces. With the filter, you will receive an RO Unit, Cartridges, Membrane, Faucet Adapter, and Membrane Wrench. The package also includes mounting brackets to properly secure the system with. You can also buy tons of add-ons like a drinking water kit. This unit is made to be easy to install. In fact, the unit is even made with the cartridges up front so that replacement is a breeze as well. This unit uses sediment, carbon and Di cartridges for filtering. The rejection rate of this system is 1: 4.5. So. what are the downsides sides system? Some of the faucet adapters that come with this unit are defective. These units also can also be prone to leaking after some use. While the faucet can be easily replaced by contacting customer service, the wait for a replacement is irritating. 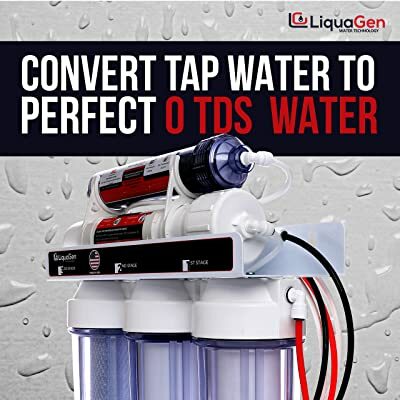 The LiquaGen 6 Stage Reverse Osmosis system is great for getting your water completely tank ready. This system is perfect for both saltwater and freshwater tanks needing extremely pure water. It can help filter even some of the worst types of tap water. The LiquaGen system is 16 x 6 x 18 inches and weighs around 12 pounds. This unit filters 100 gallons of water per day and is made in the USA. The unit is made to be portable so that you can move it from room to room without issue. Along with the filter you will receive, a garden hose adapter and drain saddle valve to help with hookup. You will also get color-coded FDA approved tubing and filter wrench to help with install. Finally, you get an automatic shut off valve, manual flush kit, and blue leak prevention locks. Purchasing this unit will get you lifelong customer support from the company. This model is free of BPA and made with safe materials. It has an operating pressure of 50 to 100 PSI with a temperature of 39 F to 113 F. It even works great with mineral-filled well water. The LiquaGen does have some downsides though. This unit can be prone to cracking so you should take extra care when storing. It also may have a lower GPD than projected. While a slow GPD isn’t horrible, sometimes you just need the system to work faster. 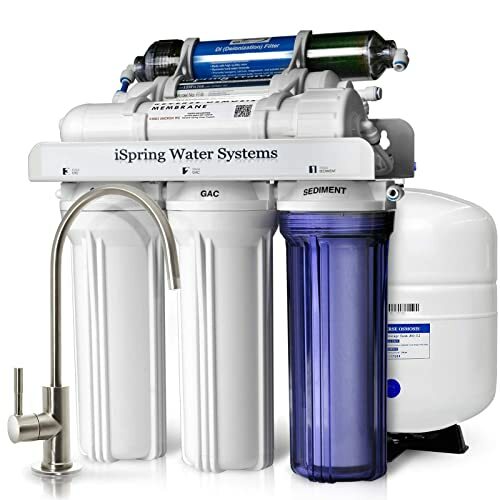 The iSpring RCC7D 75 GPD Reverse Osmosis Water System filters over 1,000 different contaminants from your water. This unit has 5 different stages to guarantee the water is completely pure. The ISpring even has some of the highest rejection rates out there. This product is 14.5 x 5.2 x 18.5 inches and weighs 25 pounds. It has a water pressure of 45 PSI to 70 PSI with a temperature of 40 to 100 F. This unit is not recommended for making drinking water like most. This is primarily for making safe water for your aquarium. With this filter you will receive, a Brushed Nickel Faucet, Storage Tank, and Filter Cartridges with RO Membrane. You will need to purchase any additional hardware you wish to use such as hose hookups. The unit also is DIY and many of the set-up instructions can be found online. Luckily, this unit comes with a one year warranty and lifetime customer support. This model is made to securely fit under most sink counters. You may need to purchase some extra tools in order to secure the complete system. Like with most things, this system does have its downsides. The installation process for this unit can be complicated. This leads to many hours spent trying to figure out the perfect set-up. The system also may have trouble completely purifying heavily chlorinated water. The Koolermax AR-122 6-stage RO+DI Aquarium Reef RO system is perfect for removing chlorine completely. This is a great unit for anyone who lives in a city with high chlorination. It even has a pressure gauge that will alert you to change your filters out. The Koolermax is 16 x 6 x 16 inches and has a weight of 17 pounds. This unit has a production rate of up to 120 gallons per day. At its lowest the Koolermax will produce 80 gallons of water per day. As the title states, this unit is perfect for purifying the water of sensitive reef aquariums.With this system, you will receive several items to get you started. You will get a pressure gauge, all filters, and installation hardware. The installation hardware includes the tools you need to secure the filter to your desired location in your home.This unit is completely made within the USA and all the components used are FDA approved. This system comes with an automatic shut off valve that activates when the output is closed off. If you have any issues or question that pop up, this unit comes with free tech support.What are the cons to the Koolermax system though? This system has filters that have to be bought through Koolermax. The filters on the site are rather expensive for what they are. You may also find that the resin is too small to deal with the amount of water going into the system. 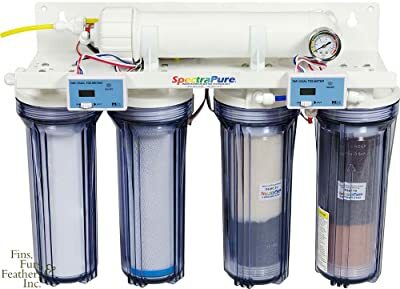 The SpectraPure MaxCap RO/DI System is a unit that doesn’t produce a ton of waste water. In fact, this unit produces up to 50% less wastewater than other systems out there. The overall waste ratio for this unit is only 2:1 making it perfect for giving you the more pure water. This product is 20″ x 7″ x 16 inches and weighs around the 20-pound range. It has an output rate of 90 gallons per day. The unit even has laboratory grade resins to maximize the amount of pure water put out. It features a 33% larger MaxCap cartridge to top everything off. The unit also has several TDS meters to help you monitor what’s going on. If you have any issues with this unit you will be covered by the 3-year manufacturer’s warranty. All you need to do is notify the company to get the repair process started. With all this said, the SpectraPure does have some downsides. This unit is extremely hard to set-up and the included instructions are badly written. You will almost need to use a video in order to properly set up the unit without a problem. The LiquaGen 5-Stage Reverse Osmosis/Deionization RO/DI makes ultrapure water that your fish will love. This unit can even work with reef tanks that need better water quality than freshwater. It even is made in the USA guaranteed the best quality control. This unit is 16 x 6 x 16 inches and with an operating pressure of 50 to 1000 PSI. the operating temperature of the unit is 39 F to 113 F. This unit filters 75 gallons of water per day in total. It has a guaranteed 0 PPM quality of water. This unit comes with a garden hose adapter and drains saddle valve for hookup. You will also get color-coded FDA approved tubing and filter wrench to for easy install. For better control, you get an automatic shut off valve, manual flush kit, and blue leak prevention locks for the unit. This unit comes with a 2-year warranty and a lifetime of customer support. It is designed to take on most types of city water to save you money in the long run. Overall this is one of the Best RO/DI System for reef tanks out there. The unit does have some flaws though. This unit can have a slow output rate that is below the reported 75 GPD. Its hose attachment can also be rather finicky and may not fit your garden hose. 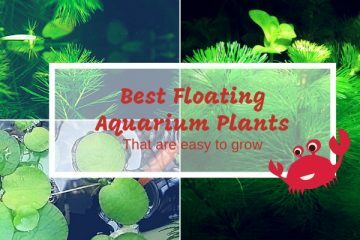 Above are some of the best Best RO/DI System for Aquariums that you can pick from. Still, you may be wondering which of these systems will work best in your home. You may still be wondering if you want to put the money into buying and RO/DI system. First, let’s look at the reasons you would want to purchase this type of system for your home. For starters, there are a few expense benefits you will get from having this system. People who use the systems are proven to save more money in the long haul. This is because they’re not running to the fish store to buy specialty water to fill the tank with. Water is not the most expensive thing you can purchase for your tank, but it adds up over time. Plus think about the gas it takes to get to the fish store. It can be annoying to carry gallons of water into your home from your car. The fact is that you have to do this if you want your fish to survive. Even in the rural areas tap water is not safe for fish to swim in most of the time. It gets even worse if you live in the city. Many cities have a high amount of chlorine in the water that will poison the fish. Many times it’s not enough just to add in a few drops of water conditioner if you live in the area that has lots of chlorine. Even if you have well water you may be surprised to find out it has some harsh minerals in it. These minerals aren’t good for fish and can badly affect their health especially in the long run. Even with well water, you have to purify it for a proper tank. If you’re like most people would have a multi-gallon tank then you’re going to need a ton of water to fill it. This gets worse the bigger the tank you have as it needs more water. If you plan on having a hundred plus gallon tank bringing water home is a nightmare. Getting an RO/DI tank relieves much of the stress that comes with getting water for your fish. There are some things you’re going to have to think about before picking out your unit. It will but make your life much easier overall once you do though. 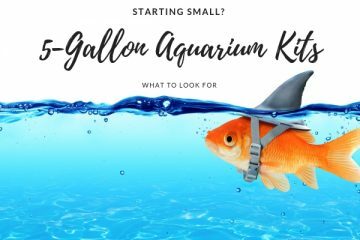 Let’s start with the basics, how many gallons is your tank? The more gallons your tank is the bigger unit you’re going to me. If you have a 100-gallon tank and you have a unit that puts out 25 GPD that’s bad. You need to have a system with the right GPD. 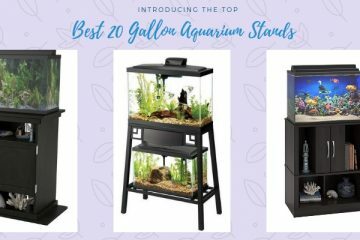 If you haven’t owned an aquarium before you may be wondering why you need so many GPD per day. Well, many aquarium owners have to top off your water regularly. While this isn’t a full water change it can take gallons of water depending on the tank size. If you’re going to have a smaller tank it’s best to have a mid-range system. You can get systems that do about 50 gallons of water per day which will be perfect. 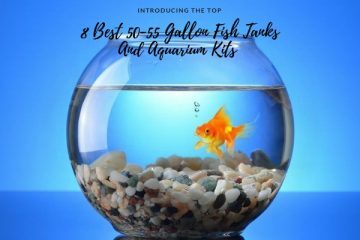 If you have a larger tank you’re going to want to strive for around 80 to 100 GPD per day. You will want to take into consideration the water pressure in your house. If you don’t get the pressure from the sink you’re going to need to take the unit outside. Many systems have an amount of pressure they need going into them for they can operate. If you do use your unit outside as you also want to keep in mind that their temperature sensitive. Most units can operate in both high and low temperatures. If there is an extremely low or extreme high it probably won’t function correctly. Once you get your system operating there are a few things you want to check. The first few times in your going to want to make sure it purified properly. Test the water to make sure that it is appropriate for use in your tank. You should also try to get a system that has a gauge so that you can monitor its progress. If the gauge starts to tilt towards the low side you may need to change out the filters. Make sure that you’re buying the proper filters for the unit. Each time you change the filters will also want to check the water quality. If the filter was improperly placed in it won’t do its job. Some units even have to have a specific type of filter to work. Finally, you will want to think about space when buying a unit. There are bigger and smaller systems that can be stored in different types of places. Determine where you want to put the unit and then buy one that meets that size requirement. If you want to put your unit somewhere out of the way or under a cabinet to keep it safe. This is especially true if you plan to have the unit running a lot. By keeping it in a covered area you can guarantee that it goes undisturbed. Overall, you will find that having an RO/DI system is a pleasure. It will save you tons of money of the long haul and most easy to use. You will also love the convenience of just being able to go to your kitchen to get the water you need. Buying your first unit will make your life a ton easier. You won’t have to worry about stopping by the fish store on the way home for water. You will also save some money on your tank costs over time. Make sure to pick the proper unit for your home and the perfect GPD for your tank. 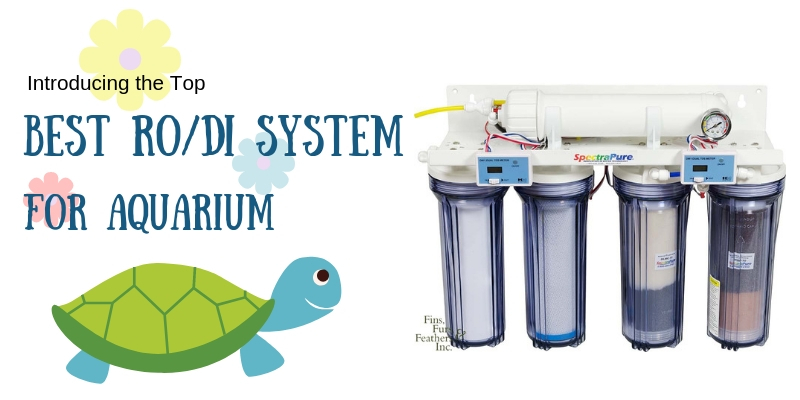 Above we listed the best RO/DI system for aquariums. All you need to do is pick the one that perfectly matches your needs.